Barbara Frey is a longtime Professor of Art at Texas A&M University-Commerce. Her current work includes bowl-like containers with tightly packed contents. 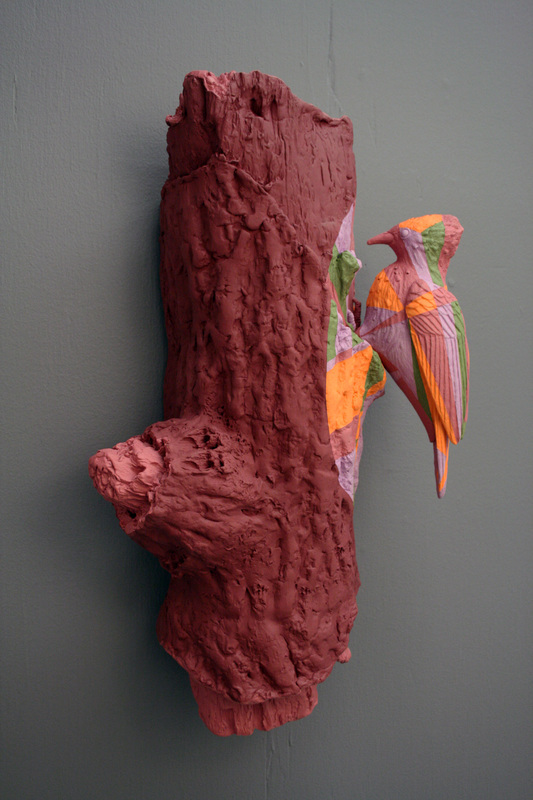 Permanently bonded together with glaze, the contents made from clay scraps cannot be unpacked or rearranged. Frey refers to this as a sort of suspended animation in which the viewer can only imagine what is underneath. Frey is the 2013 winner of the NCECA Excellence in Teaching Award. Meredith Host received her BFA in Ceramics from the Kansas City Art Institute and her MFA in ceramics from the Ohio State University. 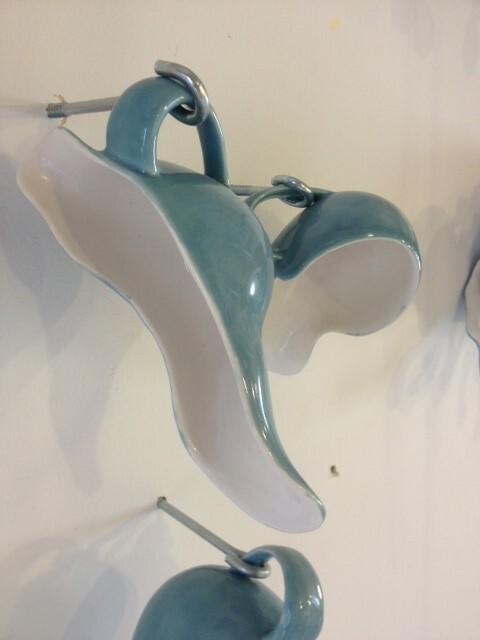 She was named an Emerging Artist in 2011 by Ceramics Monthly and by NCECA. Now based in Kansas City, she considers herself a collector of overlooked patterns. Host recreates the patterns found on everyday items, such as the embossed design on toilet paper, on other domestic objects meant for daily use, giving visibility to something we would usually fail to notice. 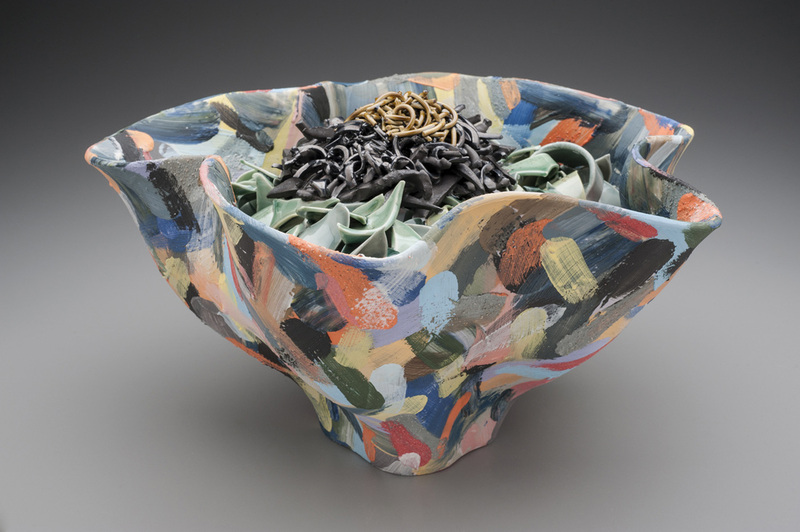 Liz Howe teaches ceramics at Skidmore College in Saratoga Springs, New York and serves as the Gallery and Exhibitions Director for the Saratoga Clay Center. She has her MFA in Ceramics from Rochester Institute of Technology – School for American Crafts and is a contributing writer to Ceramics Monthly, reviewing exhibitions in New York and surrounding areas. Her Landscape Marker Series combines the natural elements of the landscape with the man-made objects encountered in a daily commute. 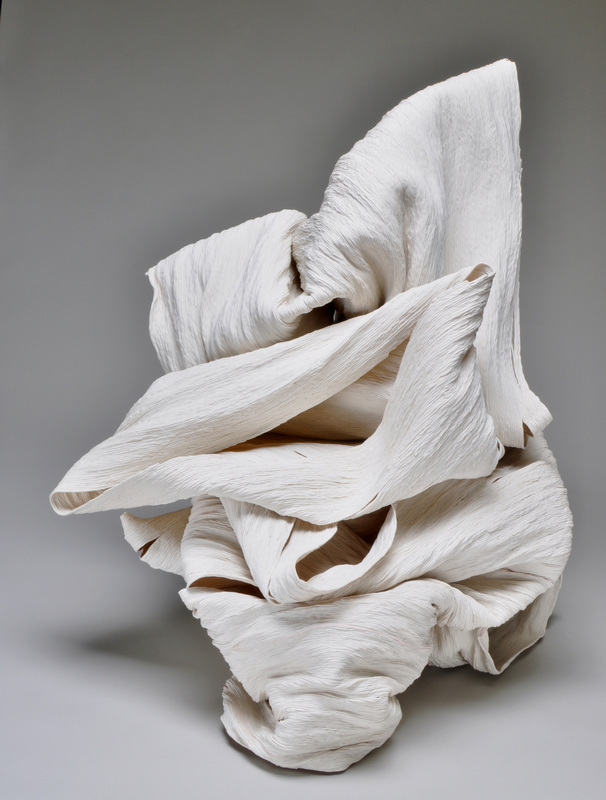 Tsehai Johnson received her MFA in Ceramics from the University of Colorado, Boulder in 1999. She is currently an Assistant Professor of Ceramics at Metropolitan State College of Denver. 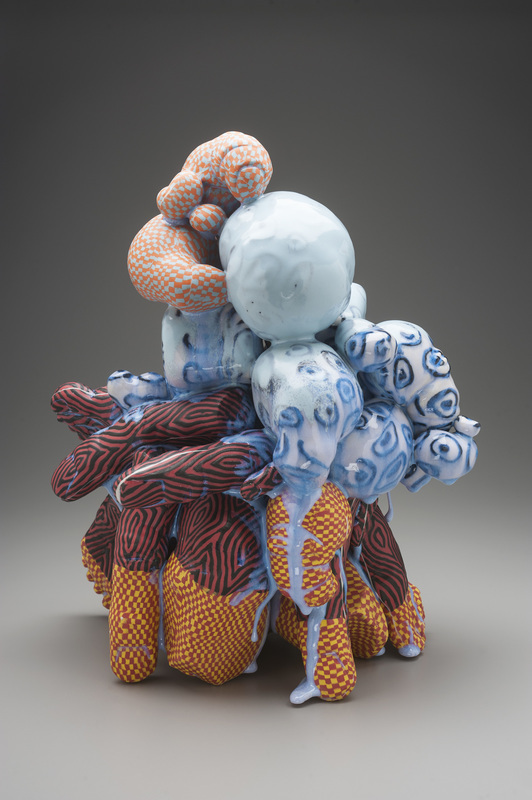 Katherine Taylor has her MFA in Ceramics from Syracuse University and studied ceramics with Barbara Frey as an undergraduate at Texas A&M University-Commerce. Taylor uses the technique of nerikomi to create mosaic-like slabs of colored porcelain, which are pressed into handmade molds. The individual sculptural elements are assembled and then showered in glaze, resulting in transparent color overlapping pattern with dramatic drips. The forms make connections between the human body and the American landscape. 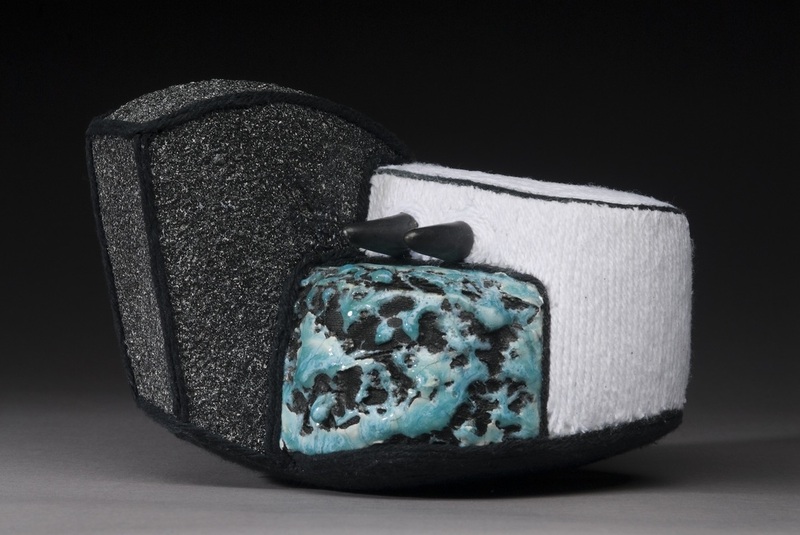 Cheryl Ann Thomas is a California-based ceramic artist. She carefully balances tiny coils of porcelain to make cylinders that are too tall and thin to withstand the heat of the kiln. They inevitably collapse during the firing process and then are combined together for a second firing. Thomas refers to these sculptures as relics, the permanent record of human interaction with the material. Merrie Wright is Assistant Professor of Art at University of Texas at Tyler. 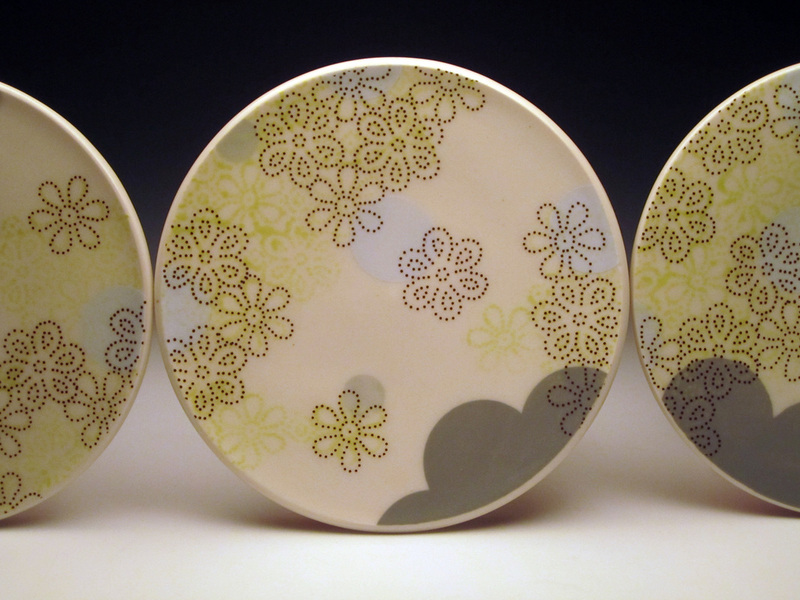 She has her MFA in Ceramics from Louisiana State University and BFA in Ceramics from the Kansas City Art Institute. Her current work is a continued exploration of ideas related to camouflage in the natural world and man-made versions used in warfare. The dynamic patterns and colors of the animals derive from natural sources, symbols and patterns of ancient cultures, and art movements like Optical Art.